James Taiwo is a preacher, an engineer, an author, and a musician. 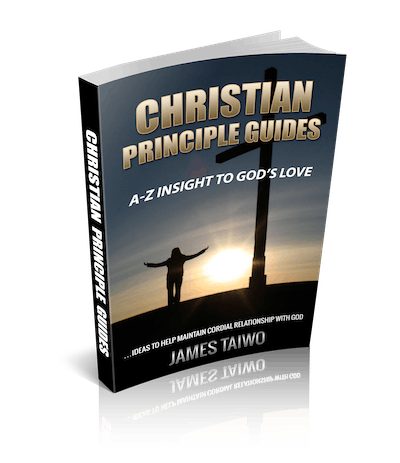 He is based in New York City and he is the president of World Outreach Evangelical Ministry, Inc. James Taiwo is also the publisher of Trumpet Media ministries. He is notable for taking the advantage of the ever-growing technology of our day to benefit his global audience. James Taiwo based in New York City is the president of World Outreach Evangelical Ministry, Inc. and the publisher of Trumpet Media – app. Apart from his engineering practice, James Taiwo serves his responsibility as the President of World Outreach Evangelical Ministry. He is a prolific writer and a blogger. He indulges himself in writing books and articles. He is also a saxophone recording artist that specializes in contemporary gospel jazz. James Taiwo has always had a knack for writing and has written over one thousand free articles online, and still counting. His writing has inspired many to take the road of spirituality to attain the overall well being. Obtained a Master of Science Degree in Civil and Environmental Engineering from Polytechnic University, New York City. Also obtained a Doctor of Theology Degree from Lighthouse Seminary, Beebe Arkansas. Focuses his teaching on spiritual growth and personal development. An Amazon best selling author of Bible Application Lessons and Prayers (Divine Inspiration for Daily Living), Book of Prayers, Christian Principle Guides, Bible Giants of Faith, and Success Express Lane (in press). Preaches weekly at World Outreach Evangelical Ministry and plays his saxophone. He daily writes Christian Devotionals through Trumpet Media app, text messaging, and email. He also weekly engages his global audience via newsletter. It is an honor to have the privilege of making positive contributions into people’s lives. My efforts in speeches and writings have always been devoted into inspiring people to awaken their inner-self to attain the ultimate height designed for them by God. As reflected in my books, my aspirations have been (and will always be) to help common people like myself gear towards maximizing the potentials that God has embedded in their lives. I personally believe that everyone, whether born poor or rich, can be successful in this life. I also believe that a person who lives by the principles of the Bible will en-route to heaven after death! ~ James Taiwo.